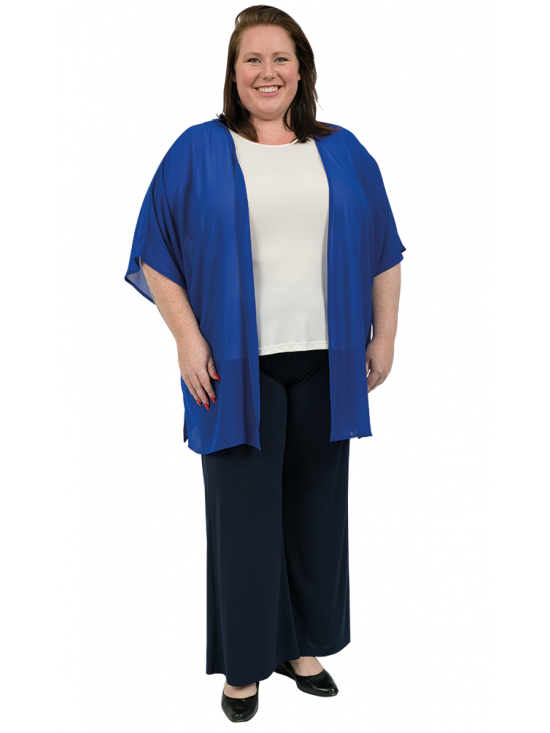 Stunning, lightweight, edge-to-edge jacket in a sheer Royal Blue polyester georgette is an elegant addition to your seasonal wardrobe. 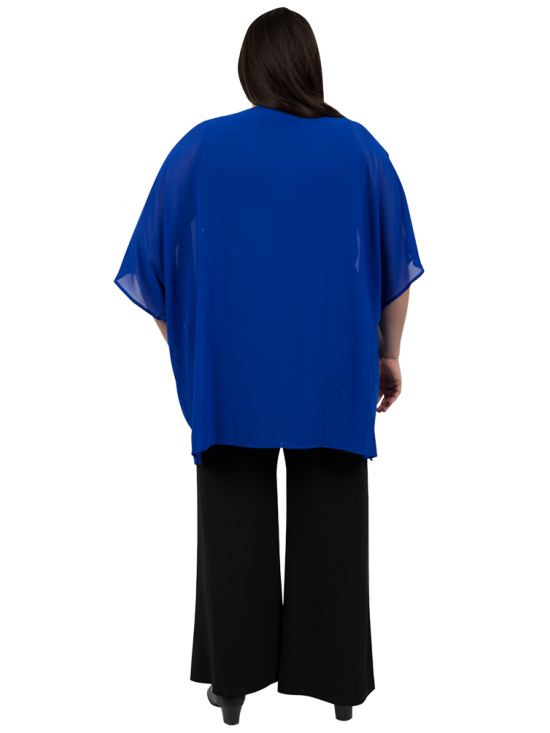 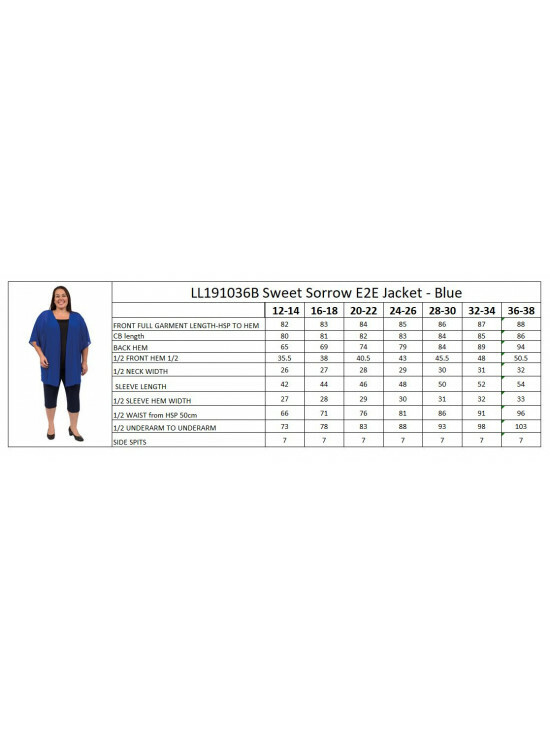 Features mid-length dolman sleeves and a beautiful soft drape with side splits in the seams for a comfortable fit. 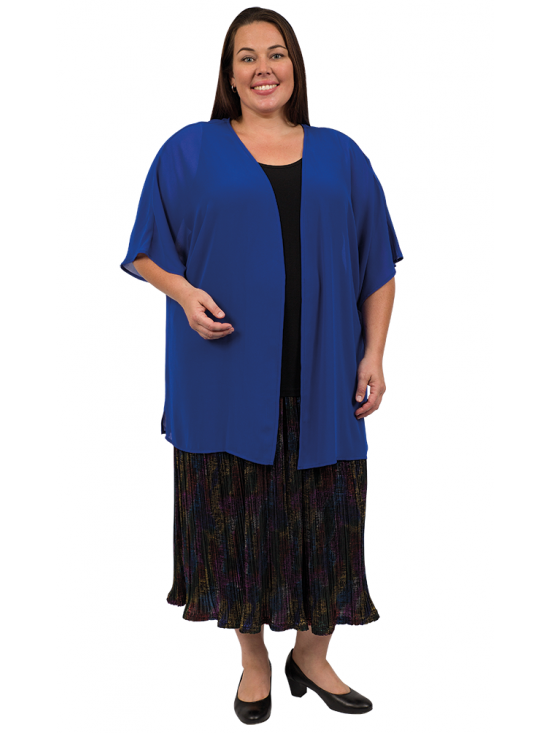 A fabulous look for day or night, team it with Coulottes of Fun in black, for an elegant look for a party or a special function or pair it with capris or denims for a stylish casual look.